Another case of vandalism was reported in Kolkata today; BJP icon Syama Prasad Mookerjee's bust was found damaged. The police has detained six people in connection with the incident. New Delhi: Prime Minister Narendra Modi today expressed "strong disapproval" to "toppling of statues," a day after two statues of Russian Communist icon Vladimir Lenin and a statue of Dravidian icon Periyar were vandalised. The Home Ministry has asked states to take measures to prevent such incidents. "Persons indulging in such acts must be sternly dealt with and booked under relevant provisions of law," the Home Ministry said. 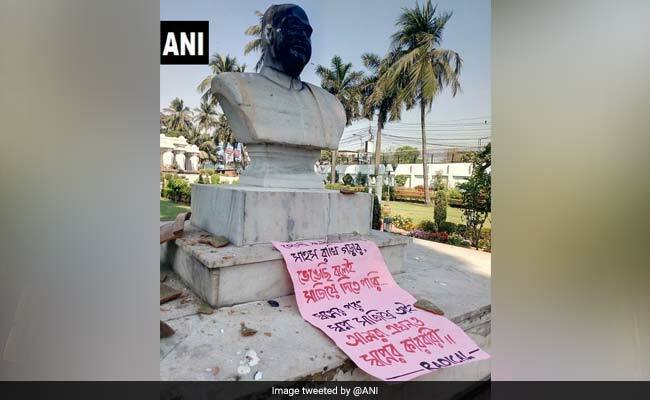 Another case of vandalism was reported in Kolkata today where BJP icon Syama Prasad Mookerjee's bust was found damaged. Seven people have been arrested in connection with the incident. "I and my party condemn the incident of causing damage to his statue. These are people with vested interest who are insulting leaders of rationalist movement in the name of religion. It is not right. People will not tolerate it," Mr Kharge said. Leader of Congress in Lok Sabha Mallikarjun Kharge condemns damage to statues. "In a democracy, there are people who believe in all kinds of ideologies. There is no tolerance in the BJP people and they are turning intolerant," he said. 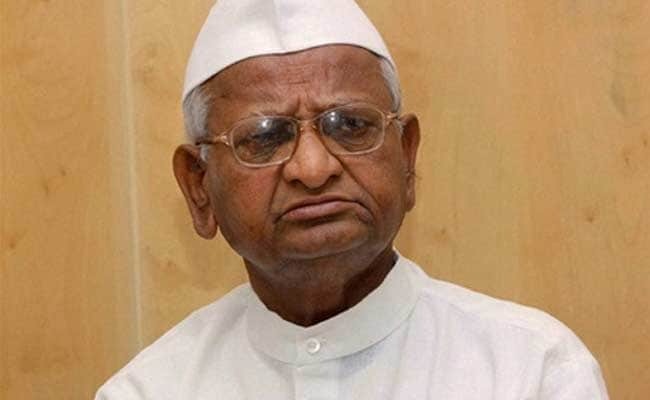 Social activist Anna Hazare expressed displeasure over damage to the statues across the country, says "nobody has the right to do such things". SHOs have been briefed to increase security in their areas. Police is making a list of sensitive and highly sensitive areas, and adequate number of personnel have been deployed around statues. 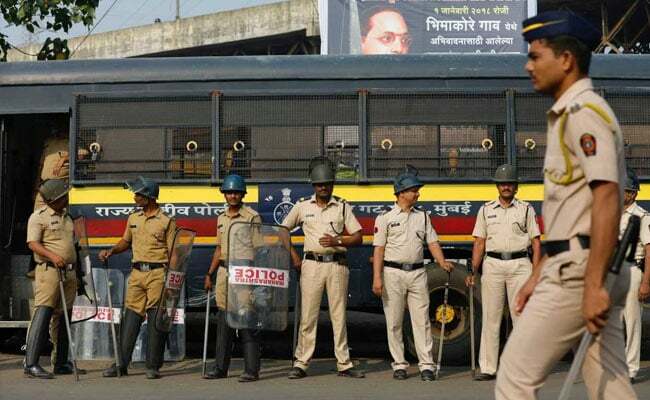 Maharashtra police on alert after statues vandalised across the country. Police asked to take extra precaution, increase patrolling in all sensitive areas. The Ministry has also called for preventive action including patrolling and firm control over "anti-social elements". Directions have also been issued to ensure that the situation is closely monitored and take stringent action including arrest and prompt investigation and prosecution, against vandals. Home Ministry issues second advisory reiterating it's earlier directions on vandalism. It has also directed states to ensure that the District Magistrate and Senior Superintendent of Police are held personally responsible of violence held in their areas. As a party, we in the BJP believe that a wide range of ideas and ideologies can coexist in India. This is exactly how the makers of our Constitution envisioned our great nation to be. India's diversity and the vibrant spirit of debate and discussion is what strengthens us. The recent issue on destroying of statues is extremely unfortunate. We as a party do not support the bringing down of anybody's statue. Our main aim is to bring a transformative change in the lives of the people. We are humbled by the fact that our ethos and work has endeared us to people all across India and our alliance is serving in over 20 states as a part of the Government. The BJP will always remain committed to ideals of openness and constructive politics through which we can positively impact people's lives as well as build a New India. Today, H Raja "expressed regret" for his post and said: "Vandalising Periyar statues unacceptable. Facebook admin had posted that message without my permission. My intention was not to hurt anyone." Two men have been arrested for vandalizing the Periyar statue at a municipal corporation office in Vellore. "One man is a BJP member and another a CPI worker, both drunk," the police said. 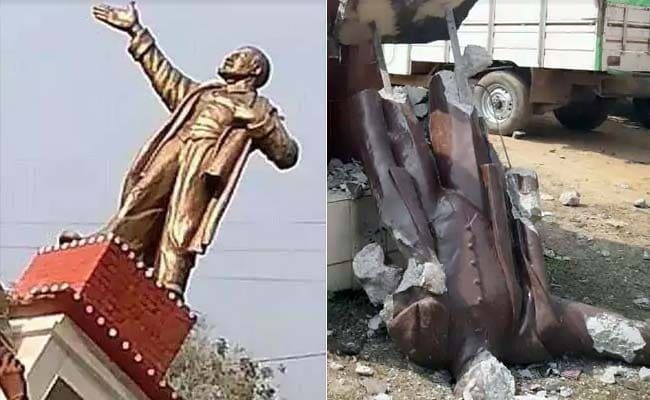 The cycle of vandalism began after two statues of Russian communist revolutionary Vladimir Lenin were demolished in Tripura yesterday, allegedly by workers of the BJP, which ended the 25-year-long rule of the Left in the northeastern state on Saturday. As the Left targeted the BJP over the vandalism, a BJP leader in Tamil Nadu, H Raja, controversially suggested on Facebook that Periyar statues in his state could be next. Prime Minister Narendra Modi has expressed strong condemnation and warned of "stern action" against those responsible. He also spoke to Home Minister Rajnath Singh, who has ordered all states to check such incidents. 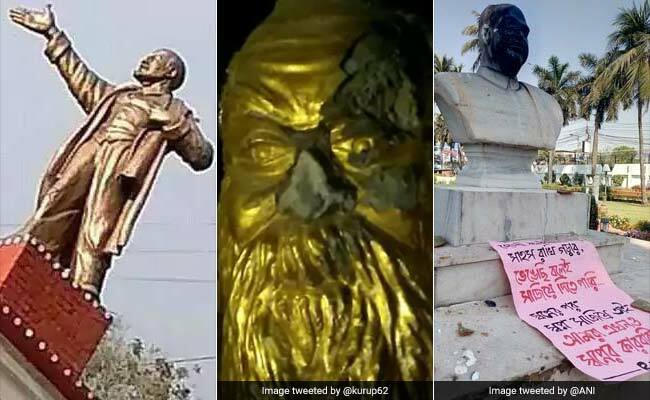 Statues of Russian communist revolutionary Vladimir Lenin in Tripura, Tamil icon EVR Ramasamy or Periyar in Tamil Nadu and iconic BJP leader Syama Prasad Mookerjee were toppled, defaced, and blackened in acts of vandalism. Home Minister Rajnath Singh has ordered states to act sternly to check incidents of statues being toppled, defaced or vandalised. After the incident in Tamil Nadu, policemen are guarding a Periyar statue in Coimbatore. Social activist Periyar had started the Self-Respect Movement and Dravidar Kazhagam, one of the first Dravidian outfits in the country. 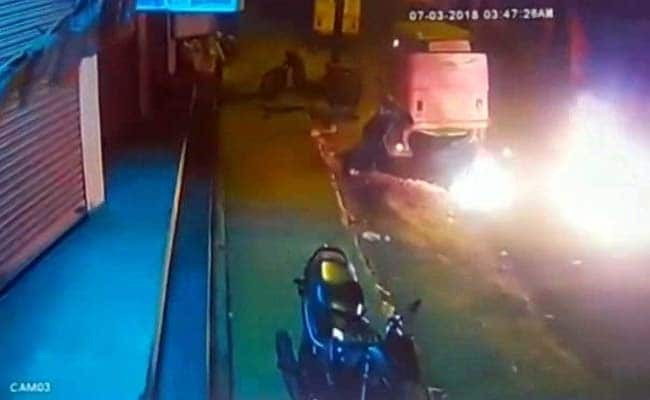 Hours after the statue of EVR Ramasamy, better known as Periyar, was vandalised, a molotov cocktail, most likely a petrol bomb, was thrown at a BJP office in Coimbatore by three bikers. No one was hurt. Responding to the outrage over the Lenin statues being razed, BJP leader H Raja declared that Periyar statues in Tamil Nadu could be next. "Who is Lenin and what is the connection between Lenin and India? What connection has India with Communists? Lenin's statue has been removed in Tripura. Today it is Lenin's statue in Tripura, tomorrow it will be the statue of caste fanatic EVR Ramasamy," said the post, which the BJP leader deleted and later disowned after a huge backlash in Tamil Nadu. Today, H Raja "expressed regret" for his post and said: "Vandalising Periyar statues unacceptable. Facebook admin had posted that message without my permission. My intention was not to hurt anyone." Two men have been arrested for vandalizing the Periyar statue at a municipal corporation office in Vellore. "One man is a BJP member and another a CPI worker, both drunk," the police said. 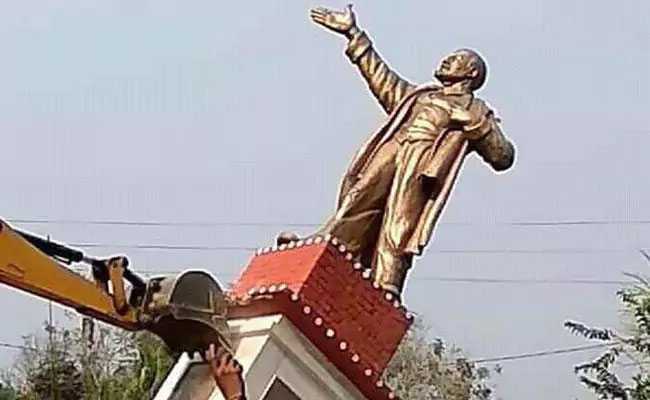 The cycle of vandalism began after statues of Russian communist revolutionary Vladimir Lenin were demolished in Tripura yesterday, allegedly by workers of the BJP, which ended the 25-year-long rule of the Left in the northeastern state on Saturday. This morning, a bust of BJP icon Syama Prasad Mookerjee was blackened and its features smashed with a hammer in Kolkata. Syama Prasad Mookerjee was the founder of the BJP's predecessor Jana Sangh. 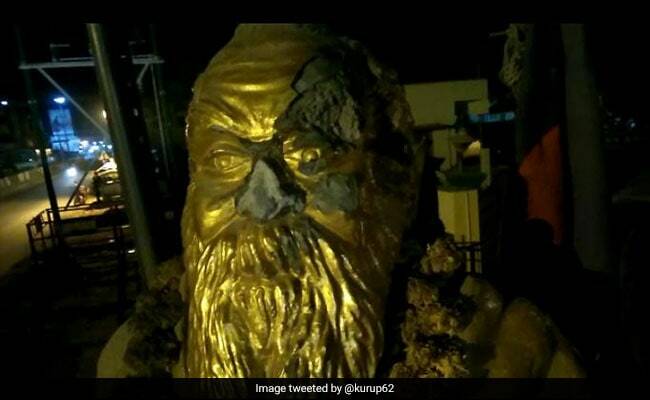 A statue of Tamil icon EVR Ramasamy or Periyar was vandalized in Tamil Nadu's Vellore last night, hours after a BJP leader suggested it in his Facebook post responding to anger over a statue of Russian communist leader Vladimir Lenin being pulled down in Tripura. Prime Minister Narendra Modi Condemns "Toppling Of Statues"
Prime Minister Narendra Modi has expressed strong disapproval after the vandalism of statues in Tripura and Tamil Nadu. PM Modi, according to a government statement, spoke to Home Minister Rajnath Singh who has ordered states to act sternly to check such incidents.